« How many twitter accounts does a man need? 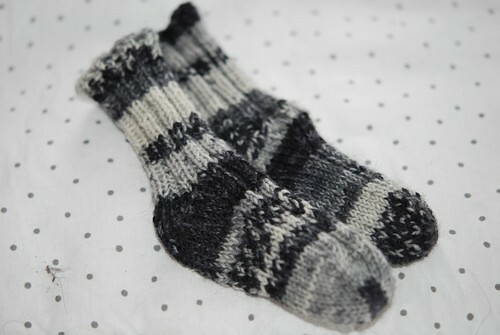 Sock Recipe: A Good, Plain Sock by Stephanie Pearl-McPhee knit with Garnstudio DROPS Fabel. 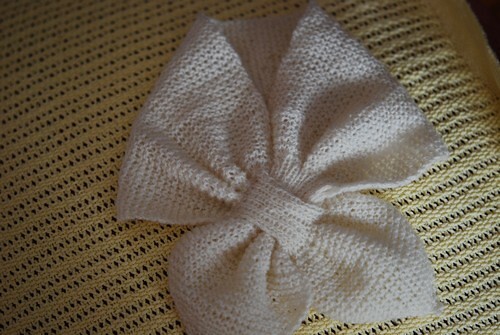 Started December 7, 2010; completed December 12, 2010.
knit with Garnstudio DROPS Fabel. Started and completed December 12, 2010. 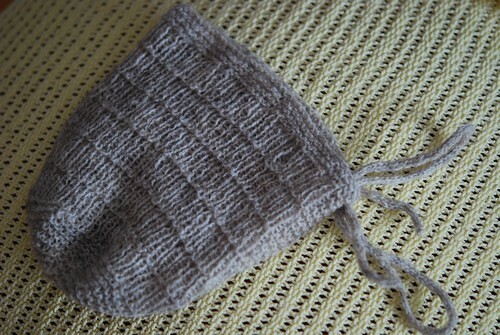 Baby mittens based on Dale of Norway / Dalegarn #127 knit with Garnstudio DROPS Fabel. Started December 12, 2010; completed December 18, 2010. 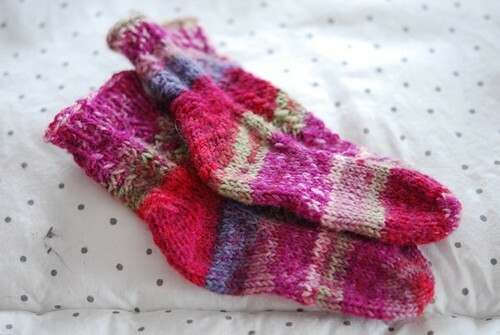 2 pairs of 111-31 Knitted slippers in 2 threads ”Fabel” by DROPS design knit with Garnstudio DROPS Fabel. Black pair started December 18, 2010; completed December 21, 2010. Green pair started December 27, 2010; completed December 29, 2010. 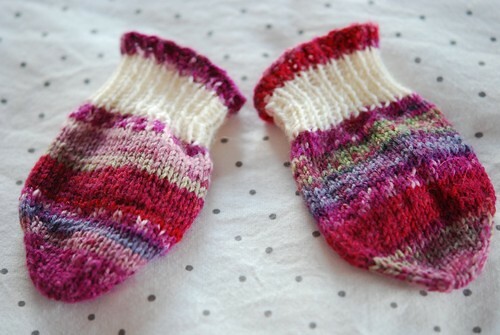 Newborn Toe Up Ribbed Socks (modified version of the above jaywalkers) knit with Garnstudio DROPS Fabel. Started December 21, 2010; completed December 22, 2010. 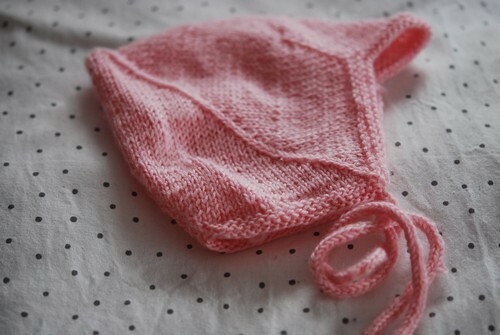 Baby bonnet Liten lue by May B. Langhelle knit with Askeladen Merino-lammeuld (2 ply). Started December 22, 2010; completed December 25, 2010. Baby scarf #1912 Scarf by Kathrine Gregersen knit with Askeladen Merino-lammeuld (2 ply). Started December 28, 2010; completed December 29, 2010. Djevellue by May B. Langhelle knit with Baby Ull by Dale of Norway/Dalegarn. Started December 29, 2010; completed December 30, 2010. Sorry, no photos of the slippers and adult socks at the time of writing.